What is AMD graphics card on a Computer? How to Find Out the Model of your AMD Graphics Card? How Do You Update AMD Graphics Driver for Windows 10? Before updating the AMD Graphics driver, you are supposed to know some facts about AMD graphics card. AS a brand of Graphic, AMD Graphics plays an important role in your laptop, desktop and so on. Just like CPU which is on the motherboard, but AMD Graphic aims to optimize and control how the pictures, video, animation, and programs are displayed on your computer. So you can see that without it, you cannot take advantage of the colorful usage of Windows 10. Nevertheless, it often occurs to you that AMD is not working or detected, under this circumstance, you have to update your AMD graphics driver to fix the AMD graphic errors, such as AMD graphics Radeon R9 M370X. But to update correctly your AMD Graphics driver, you must figure out what is your AMD graphics model. To update AMD graphics driver, you should at the very beginning identify what is your AMD Graphics model, there are two quickest ways offered for you. 1: Find out the AMD graphics model in Device Manager. You can go as the path: Device manager > Expand Display adapter > locate AMD graphics. 2: Identify the AMD graphics model via AMD Catalyst Control Center. Having known the exact model of your AMD graphic, it is time for you to update it. To make the AMD graphics be updated to the latest version so as to be compatible with Windows 10, or you want to solve the error that No AMD graphics driver installed on Windows 10, updating it is a common but the most effective way. Here as for updating AMD graphics driver, there are two ways you can choose from, they are updating AMD graphics driver manually and automatically. For AMD Graphics users, it is a privilege to download or update Windows 10 AMD graphics driver from the AMD official site. Go to AMD Download Center. Here it is obvious that you can download and update AMD graphics drivers and software for Radeon, FirePro, APU, CPU, desktops, and laptops. And also you can see there are 3 ways you can do to update the driver. This official site provides the AMD Driver Autodetect tool to help you update the driver, easily find the device driver and select all options step by step ways. Then hit Display Results, you will see the available AMD Radeon R9 M370X drivers. 2: Download AMD Graphics Radeon R9 M370X. 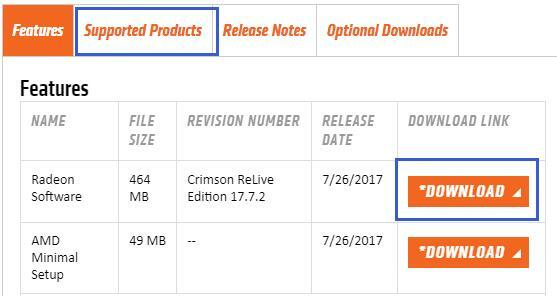 In this web page, you can also see the Supported Products, Released DATE, and Optional Downloads (such as AMD Chipset drivers). 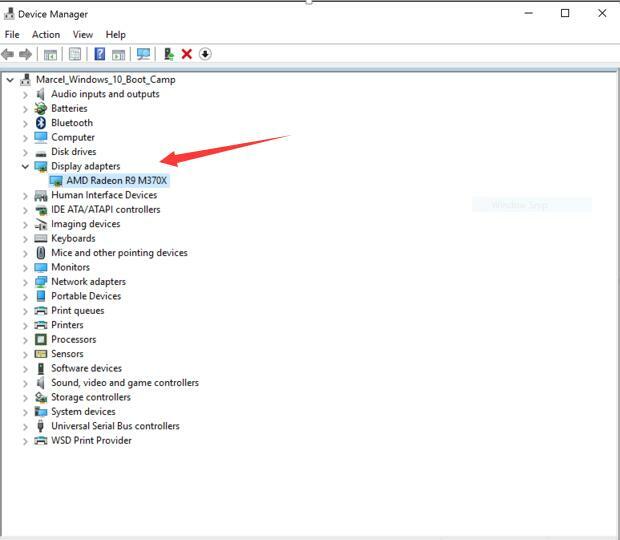 After that, you can see the AMD Graphics driver in device manager, and then you will find the error that No AMD graphics driver is installed on HP/DELL/ASUS/Lenovo and so on. But if you show no interest in the manual way, you can also choose to use the AMD Driver AutoDetect tool to help you download the latest AMD Graphics drivers. Or you can scroll down the AMD web page and click the right AMD Graphics series in AMD Latest Drivers and software to the downloading web page. Sometimes, you may be unable to get into the AMD site for some unknown reason, or you are not so sure that you can download the latest AMD graphics driver by yourself. 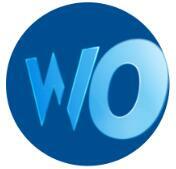 There is an accessible way to you, Driver Doctor can be your perfect driver updating helper. 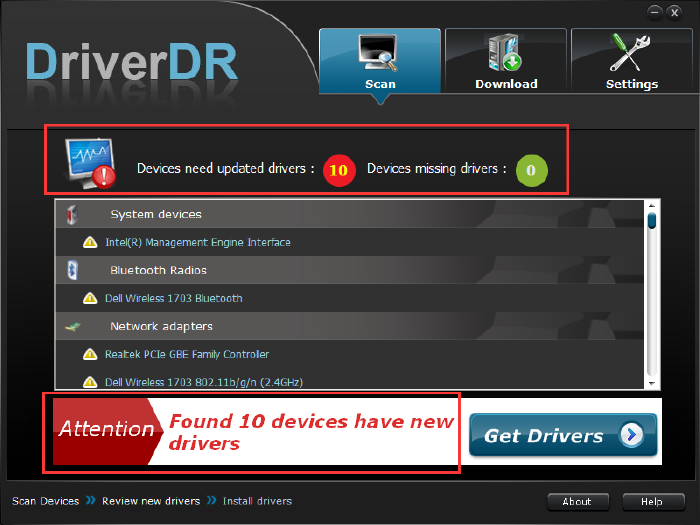 Driver Doctor is capable of downloading and installing the AMD Radeon R9 M370X drivers in seconds and three clicks. You can be obsessed with it once you have tried it. At first, download and run it on your laptop, desktop. Then you can finish downloading and updating AMD Graphics drivers easily. Driver Doctor will Scan for, Get, and Download AMD graphics drivers for you. All you need to do is click three clicks with the instructions. Within several minutes, you can update your AMD Graphics driver to the latest version by Driver Doctor. However, if you cannot help using the Windows 10 embedded-in tool to update AMD graphics driver, Device Manager is the first choice. You can easily update it with reference to the procedures. 2: Locate Display adapter and expand it. 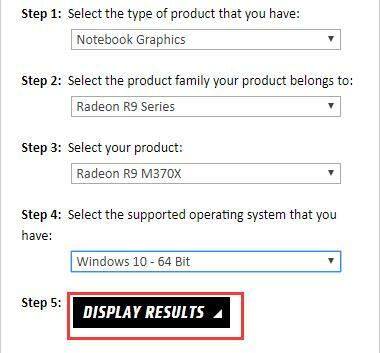 2: Under Display adapter, find out AMD Radeon R9 M370X and right click it to Update it. 3: Choose Search automatically for the updated driver software. 4: Windows 10 download and install the AMD graphics Radeon R9 M370X driver for you. All in all, to update the AMD graphics driver for Windows 10, whether you are to solve the issue that no AMD graphics driver installed or AMD Graphics driver not responding in Windows 10, even when you purely want to download it for the purpose of being compatible with Windows 10.You can all turn to this article for help.